A modern, spacious semi detached in the popular Hillocks just of Church Brae. The Iris is a turnkey property with the choices of kitchen and finishes. 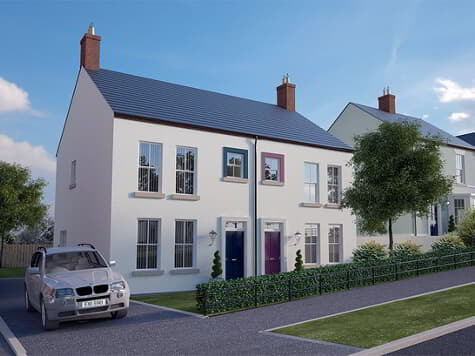 We're currently developing at The Hillocks church Brae, Butler's Wharf Enagh, Blackrock Hydepark Road and Curran Gate Portrush. Get in contact today to organize a free, no obligation viewing or site visit.